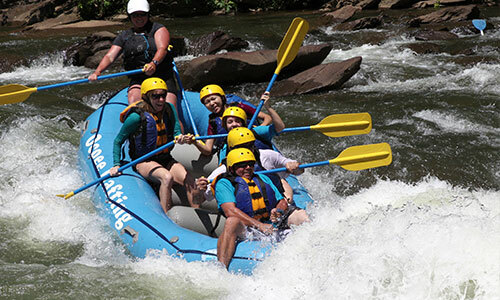 Reservations made within 10 days of the tour date require full payment upon booking. Reservations made prior to 10 days of the tour date require a 25% deposit and the balance will automatically be charged 10 days prior to the tour date. We do not issue refunds, credits, or reschedule for any reason within 10 days of the tour date. For cancellations made 10 days or more before the tour date, a refund will be issued minus a $5.00 per ticket cancellation fee on the One-Hour Tour and a $10.00 per ticket cancellation fee on the Two-Hour Tour. We do not issue refunds, credits or rescheude for missed tours for any reason. Tickets are valid only for the date and time they are purchased for. It is important to arrive on time or 10 to 15 minutes prior to the tour time. Tickets will be forfieted if not present for the tour at the specified time. We run all tours rain or shine. In this area rain is simply another element of outdoor adventure. If we have to cancel our tours due to unforeseen circumstances, we will issue a rain check only, refunds will not be issued. We do not issue refunds, credits or reschedule for tours that may have to be delayed due to the weather or unforeseen circumstances. We make every attempt possible to keep our tours on schedule, however due to the nature of the business it is not always possible. Wth this in mind please take into consideration the extra time it may take due to possible unforseen circumstances, especially in the summer months when the weather is unpredictable. And as important it is to be on time it is equally important not to arrive to early, in order to avoid long wait periods. Due to the nature of this business and our limited scheduling we must be very firm on our cancellatiopolicy, terms and conditions. We regret we cannot make exceptions to this refund/cancellation policy for personal emergencies, illness, missed tours, or bad weather. 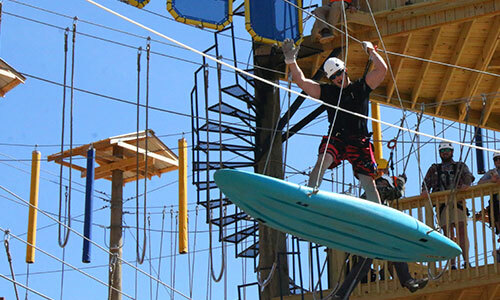 All participants must agree to zip at their own risk, and are required to sign a waiver. All participants that are under the age of 18 must have a parent or guardian sign the waiver as well. 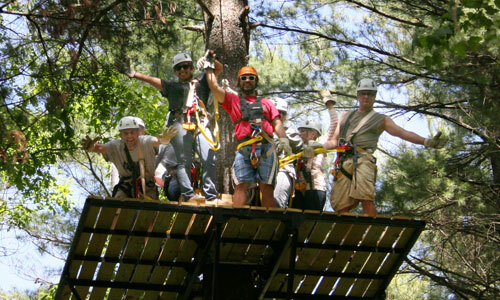 All participants must be at least 10 years of age, and between the weight of 70 to 250 pounds. All participants must be in good physical condition. Participation is not recommended for anyone that may be pregnant, have heart conditions, or have had recent surgeries. Some walking and steps are required. Anyone that is under the influence of alcohol or drugs will not be allowed to participate and no refund will be issued. All participants must wear closed-toe and heel shoes, such as outdoor hiking or running shoes. Long hair must be pulled back in a ponytail. No jewelry, scarves, or loose items are allowed. For the safety of all participants, we reserve the right to deny participation. Refunds will not be issued for participants that are denied participation due to not meeting our terms and conditions or for those that decide not to particiapte or those that physically can not do what is required. For tickets purchased within 24 hours of the tour date or for purchaes of less than four tickets, we recommend that you contact our office at (800) 251-4800 to confirm availability. Our gates open 15 minutes prior to each tour time, please arrive 10 to 15 minutes prior to your scheuled tour time. Due to our strict sheduling and for respect of other guest that arrive on time, we do not delay our tours for guest that arrive late. All ticket sales are for the date and time they are purchased for. We do not refund, credit, or reschedule for missed tours. 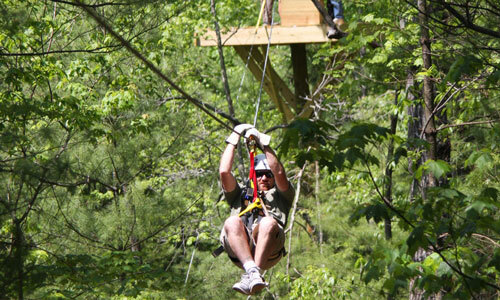 THANK YOU FOR CHOOSING ZIPLINE CANOPY TOURS OF BLUE RIDGE! 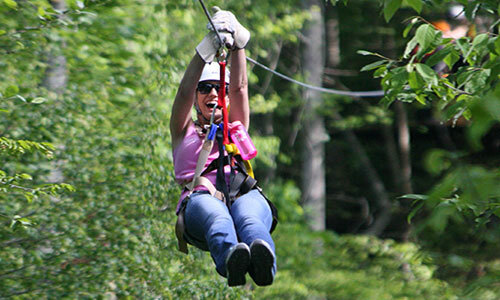 WE LOOK FORWARD TO SHARING THE ADVENTURE OF ZIPLINING WITH YOU!